There's no better feeling than finding an absolute gem stuck in the back of your mums wardrobe as you're clearing out your old things to move house. Especially when it's exactly the kind of thing you've been searching for AND your mum doesn't want it anymore. And it fits exactly how you want it to. Behold, my new favourite coat. 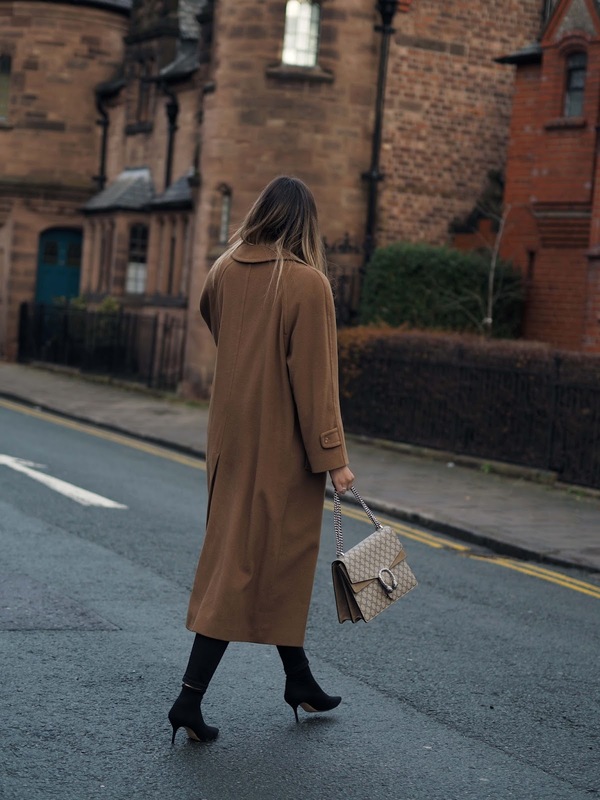 This caramel delight, oversized, perfectly long and the perfect colour and style for winter. My mum picked this Austin Reed coat up in a second hand shop about 25 years ago and it's in the most perfect condition. I am so in love, I actually wore this to do some last minute Christmas shopping yesterday but just swapped the boots for some Stan Smiths because I was a woman on a mission and comfort was definitely coming first. Keeping the rest of the look all black and simple I just paired it with my Dionysus because I mean, they're just the perfect match are they not? In keeping with the MIB theme I have going on are my newest Celine sunglasses courtesy of Sunglasses Shop. I actually totally prefer these to my Caty sunglasses so I'm sure we will be seeing a lot more from these now. Plus, they have great discounts on their site too. These are the Celine 41411/F/S or 'Luca' style and they're linked below. I've linked some great alternatives to this coat below along with the rest of my outfit.